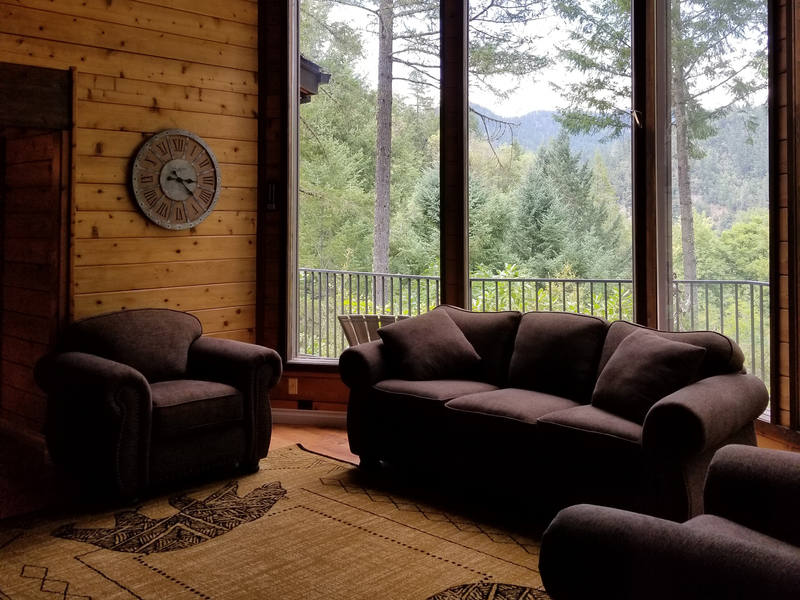 Nestled on the creekside property of Morrison’s Lodge, this spacious home transports you to a private sanctuary among the treetops adjacent to the Rogue River. 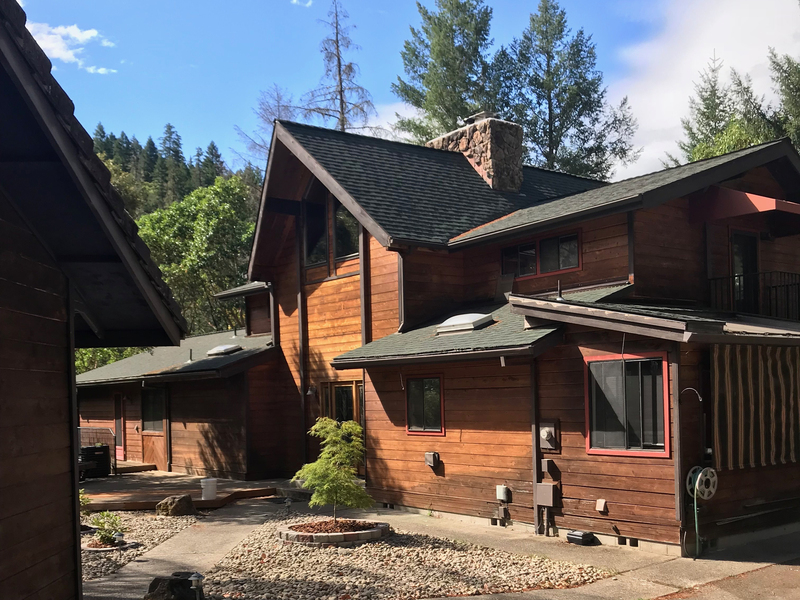 A wraparound deck and picture windows invite you to enjoy stunning views of the nearby mountains, peaceful trees, and of course the magnificent Rogue River from any room in the house. 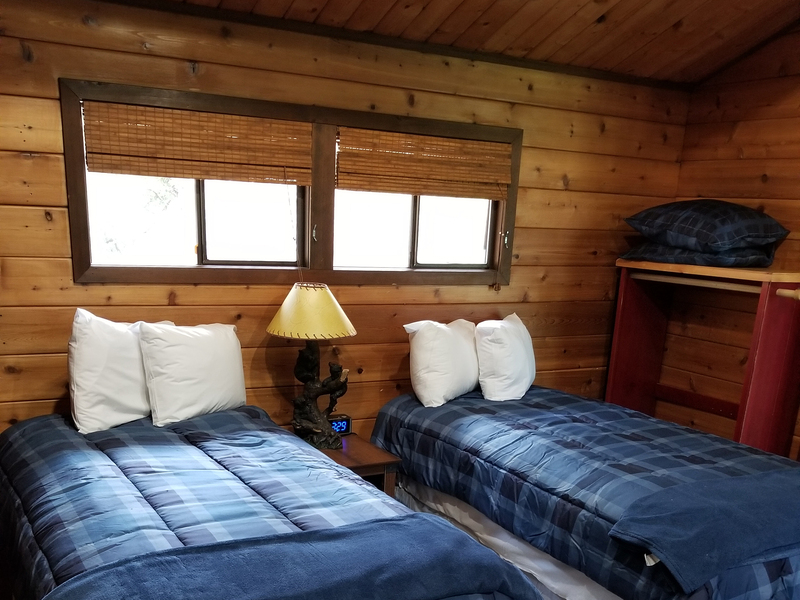 Warmly and comfortably furnished, the Treetops House sleeps 12 guests and is perfect for family functions and friendly gatherings. The master bedroom boasts a king-size bed as well as a queen-size sleeper sofa, and the master bathroom offers a luxurious oversized soaking tub. 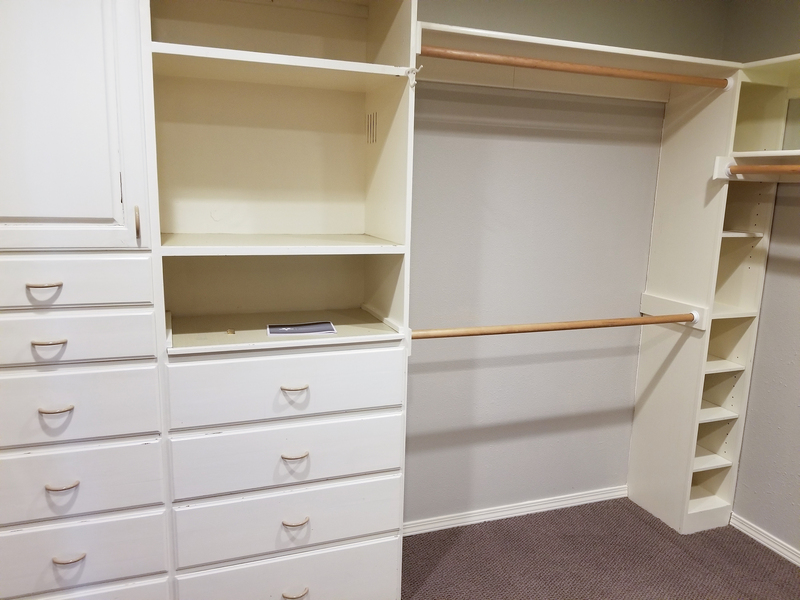 The additional bedrooms include 2 twin beds and 4 twin beds respectively, and a twin size trundle bed set in the side living room sleeps another 2 guests. 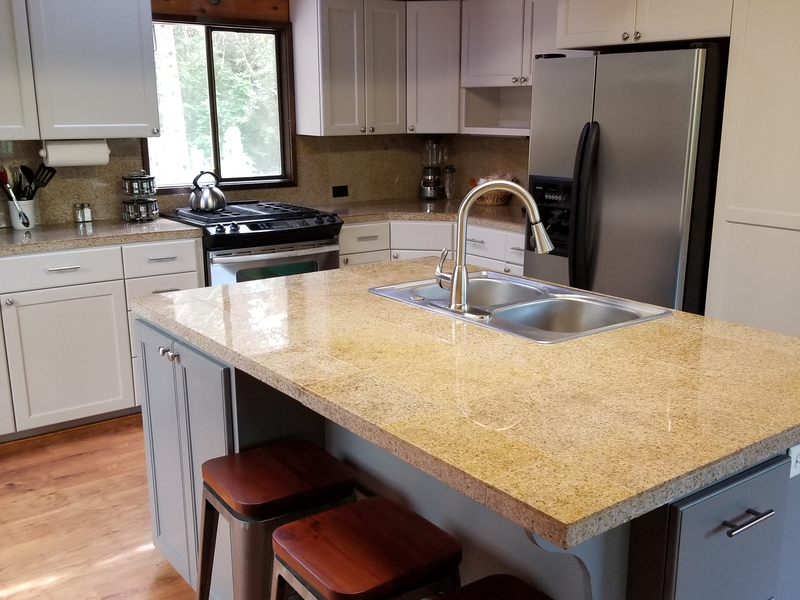 A modern, fully-appointed kitchen with stainless steel appliances is ready for your culinary adventures, and includes a microwave and toaster oven for your convenience. 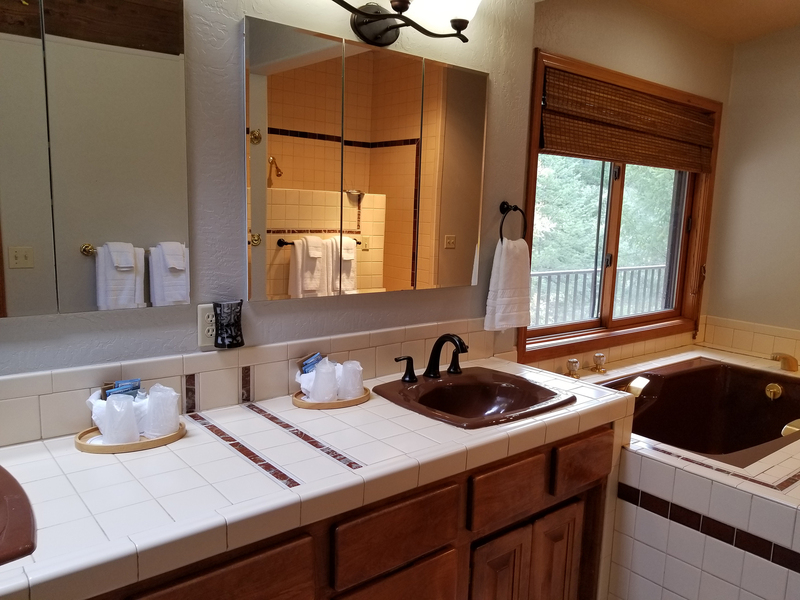 Wireless internet and satellite TV ensure that you have access to the entertainment you love even from the seclusion of the Rogue wilderness. 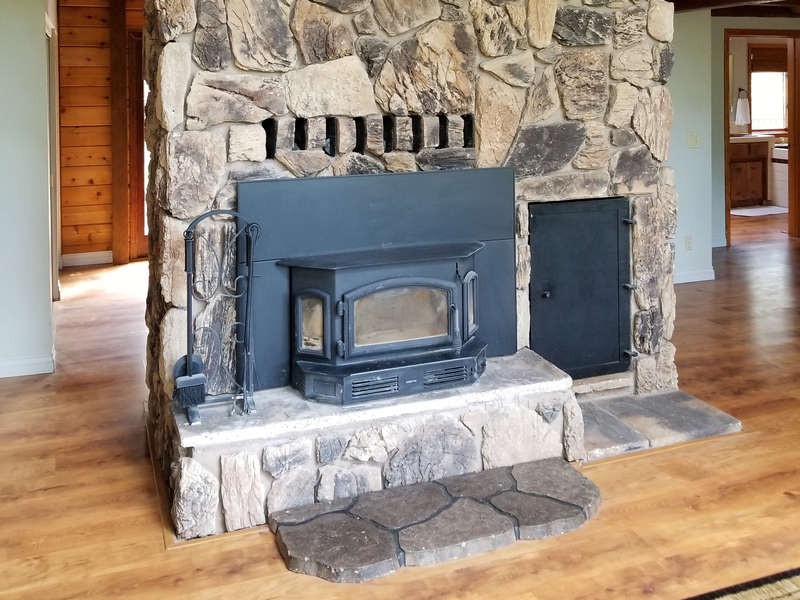 This gorgeous getaway is fully winterized and available for vacation rental year round. 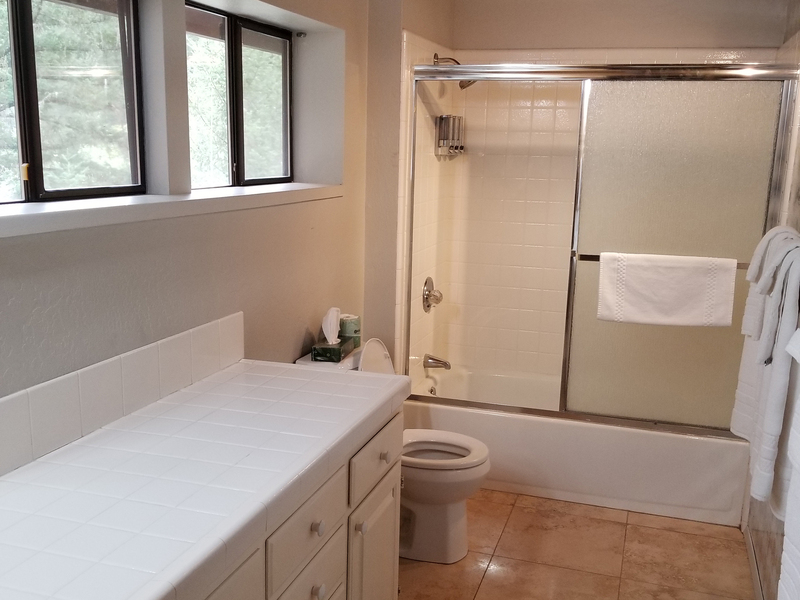 Amenities include: Full Kitchen, Fridge, Microwave, Toaster, Oven, Stove, Dishwasher, Laundry, TV with Satellite, Internet, Coffee Maker, Hairdryer, and Iron/Ironing Board. Morrison’s Lodge is open from May 1st through October 31st. 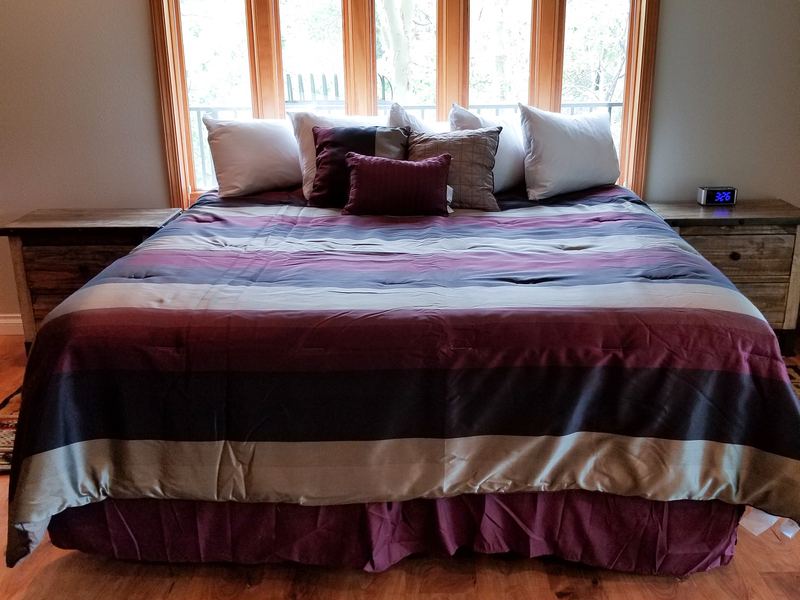 During this time the Treetops House can be rented with all of the full services that Morrison’s has to offer: Gourmet dinner at our restaurant (reservations required), full bar, swimming pool and lawn games, housekeeping services, and front desk assistance. The main office on the lodge property is closed, however, we do have a winter groundskeeper that oversees the property. Check-in can be done at our office in Merlin at 325 Galice Rd. during business hours (9 a.m. – 5 p.m.) or you may elect to do a self-check-in with a hide-a-key at the property. 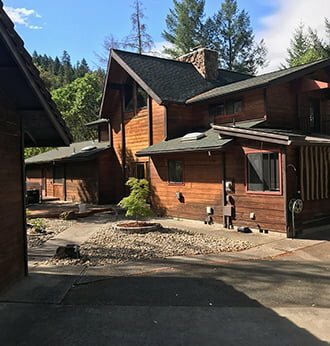 If you are looking for a great place to rent in Merlin for the holidays or a stay in the area, our Treetops House is the perfect place to enjoy the breathtaking natural beauty of Southern Oregon without sacrificing comfort or modern convenience. The house is equipped for all your needs, with a full kitchen, washer and dryer, and extra amenities for your stay.